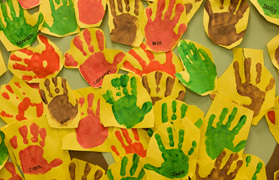 Chestnut Children's Center offers a full range of programs to meet busy families' schedules and educational interests. Click on each program name for a full curriculum overview. The Nursery School offers a half-day toddler program for children who are two years old by August 31 of the school year they wish to enroll. The Pre-School program is open to children who are three years old by August 31 of the school year they wish to enroll. An extended-day option is available until 2:15 pm. The Pre-K program is open to children who are four years old by August 31 of the school year they wish to enroll. Kindergarten is open to children who are five years old or will be five by December 31 of the school year in which they are enrolled.